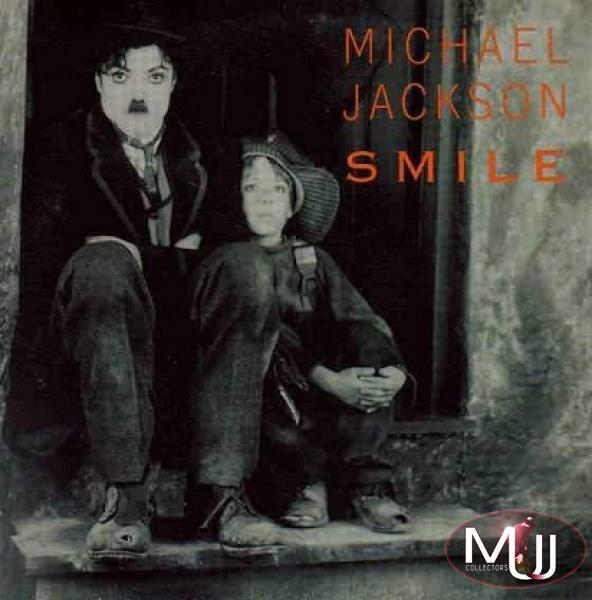 Michael Jackson “Smile” (2 Track) CD Single (Austria) This withdrawn Austrian two track CD version of “Smile” (#665130-1) contains a 4:10 “short version” of the song, with “Is It Scary” Radio Edit (4:11). As with most items involving the cancelled commercial release of Smile, this remains one of the rarest and most sought after (and hence most bootlegged) pieces of Michael Jackson memorabilia. All copies of this Austrian 2 track CD, the 5 track CD (below), the South African promo CD, and the Dutch 12” vinyl commercial release, were to be destroyed. This original CD in excellent condition is worth $1500, but BEWARE since this CD is often bootlegged with most Ebay listings for both the 2 track and 5 track releases being totally fake. 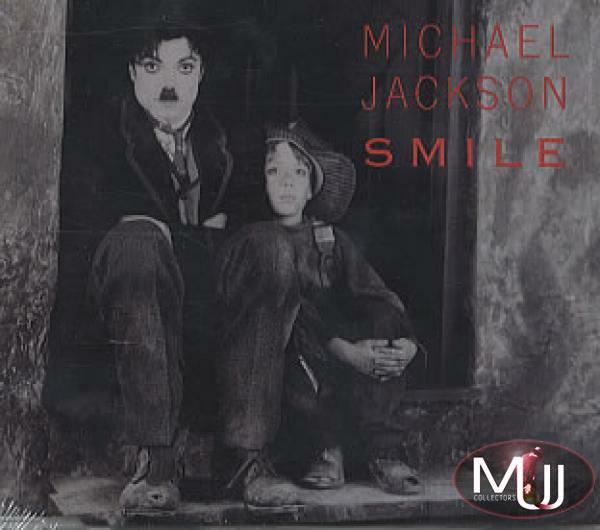 Michael Jackson “Smile” (5 Track) CD Single (Austria) This 5 track version of the Smile Austrian commercial release (#665130-2) features the same “Charlie Chaplin” cover (although the back cover is different in that the photo is on the right side as opposed to the left side on the 2 track), but includes three additional remix tracks of “Is It Scary”. All of the 1997 “Smile” releases were to promote the Blood On The Dance Floor remix album (hence the four remixes of “Is It Scary”), but due to a reported disagreement between Michael and Sony (perhaps involving his cancelled performance of the song on “Wetten Das” German TV) the release was cancelled and quickly withdrawn. In fact, a few of these CDs were issued with a “Wetten Das…” sticker on the front cover. Either original variation is worth $1500 in excellent condition, but (as always) beware of fake copies! 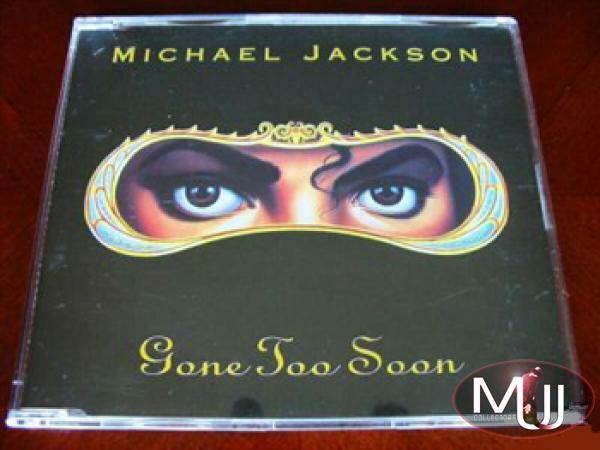 Michael Jackson “Gone Too Soon” (2 Track) CD Single (Australia) This rare Aussie CD commercial release of “Gone Too Soon” (#659986 1) is housed in the unique “Michael’s eyes mask” exclusive to Australia. Sony execs in Australia did not want to use the typical “Michael Jackson With Ryan White” sleeve in light of the 1993 allegations. This CD in excellent condition is worth $600. 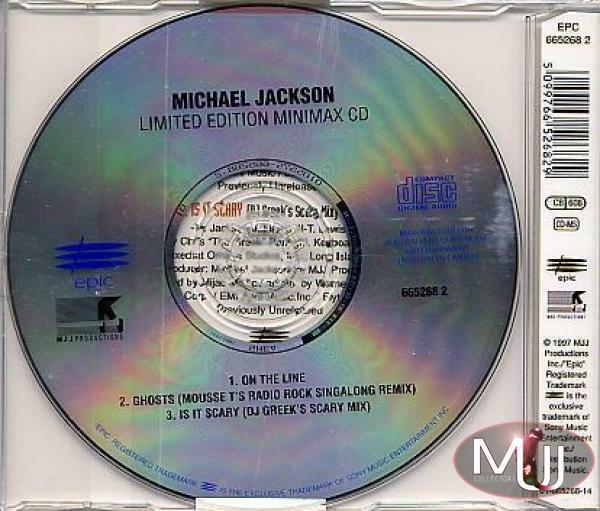 Michael Jackson “On The Line” Limited Edition (3 Tracks) CD Single (Australia) Extremely rare Aussie 3 track CD Single (#EPC 66526829-2), produced for a very limited time by Sony Australia. This was the first commercial release for “On The Line”, which was later issued in 1997 as part of the Ghosts Limited Edition Box Set. Also includes remixes of “Ghosts” and “Is It Scary”. This CD in excellent condition is valued at $700. 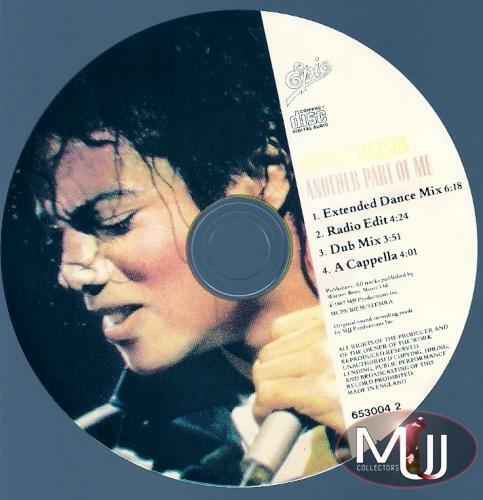 Michael Jackson “Another Part Of Me” Limited Edition Picture Disc CD (4 mixes) (UK) This UK picture CD of Another Part Of Me (#653004 2) was released in July, 1988 to coincide with Michael’s London BAD Tour. 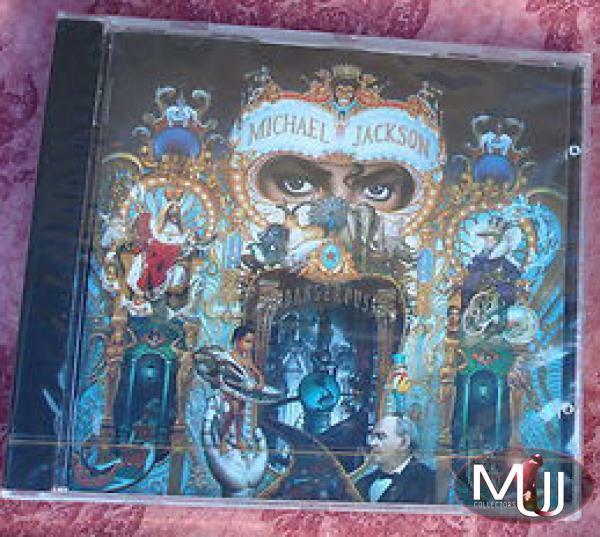 The CD itself includes four versions of the song and pictures Michael from the BAD Tour (same image as the standard picture sleeve of the track) with no separate picture sleeve. This picture CD in excellent condition is valued at $200. Visit the Michael Jackson Commercial CD Singles section of our Memorabilia Showcase for a complete list of all Michael Jackson commercial compact disc singles. 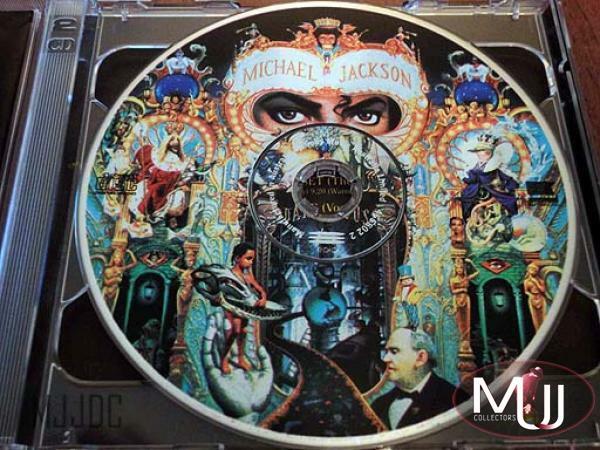 Michael Jackson “Dangerous” Collector's Edition 2 CD Pack *Picture Disc Edition* (Australia) This rare picture disc variation of the Australian double disc Dangerous album (#465802-6) was produced in very few quantities as a test pressing for execs at Sony Australia. Disc 2 (SAMP 504) is the same CD that was contained in the standard Collector’s Edition, yet the main disk is the exclusive picture CD version (whereas the standard version had the “black” Dangerous CD). In excellent condition this CD set is worth $350. 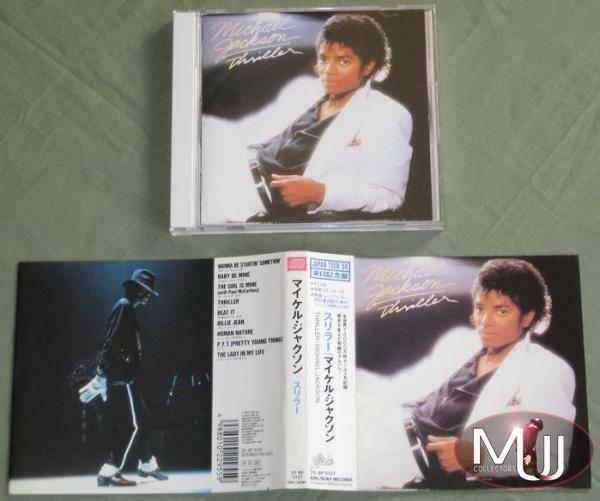 Michael Jackson Thriller Japan Tour 1988 Limited Stickered Sleeve CD Edition (Japan) This special 1988 limited edition re-release of the Thriller album (#25.8P-5137) includes a stickered sleeve with Michael performing 'Billie Jean' from the BAD Tour. In excellent condition this CD is worth $300. 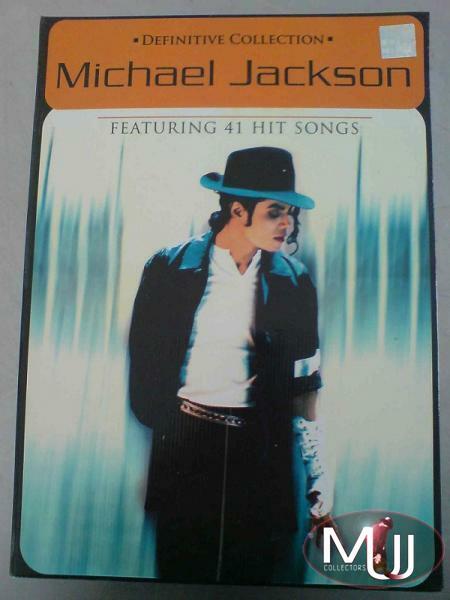 Michael Jackson “Dangerous” Commercial 13 Track Limited CD Album (Italy) This 1993 Italian release of Dangerous (#475000-2) included only 13 tracks, since “Will You Be There” was removed by Sony Italy during the plagiarism trial brought by Albano Carrisi. The CD was originally issued with the SIAE Italian label. This CD in excellent condition is worth about $300. 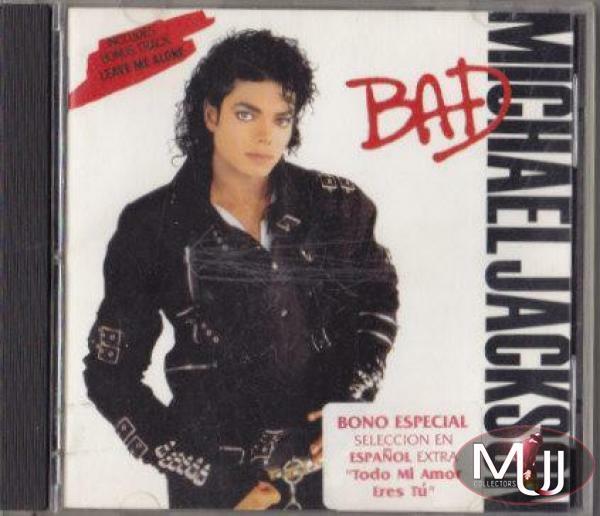 Michael Jackson BAD 12 Track CD with 'Todo Mi Amor Eres Tu' (Holland) This special CD release of the BAD album (#EPC 69007-DIDP 10645) has a twelfth track of “Todo Mi Amor Eres Tu” (the Spanish Version of I Just Can't Stop Loving You). This CD in excellent condition is worth $250. Michael Jackson “King Of Pop 'The Dutch Collection'” Limited Edition Picture CD Album (Holland) This special 18 track Dutch “King Of Pop” CD (#88697356402) was exclusively offered through bol.com in August, 2008. 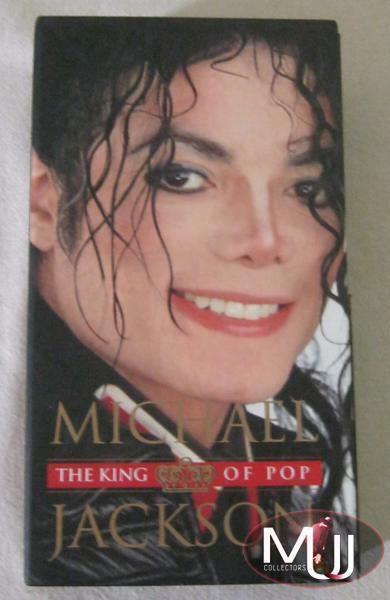 This black cover edition is one of the rarest of the various “King Of Pop” editions. This CD in excellent condition is valued at $250. Visit the Limited Edition CD Albums section of our Memorabilia Showcase for a complete list of all Michael Jackson limited edition CD albums. Michael Jackson “BAD Special Box Set” *Picture CD Version* (Japan) This special Japanese box set (#60-8P-5006/#R-3-21) was issued by Epic/Sony Records in 1988, following MJ's 1987 BAD Tour in Japan. This "picture CD" version has the same contents as the standard CD release ("On Tour" booklet, exclusive white T-shirt, Japanese telephone card). The "BAD" lettering on the 8 1/2"x11" box is maroon instead of red, which indicated that the box included the picture CD version. There is also a red sticker on the CD saying it is a "picture CD" (in Japanese). This box set in excellent condition (with all contents) is valued at $500. Equally as rare is the “cassette version” of this box set, which is also worth $500. Michael Jackson/Jacksons Limited Edition 13 CD Album Set (2010) (Japan) This group of thirteen Japanese limited edition CDs released in June, 2010 (#EICP1401 to EICP1414) form a montage of images from the “Number Ones” album covers when all put in order. 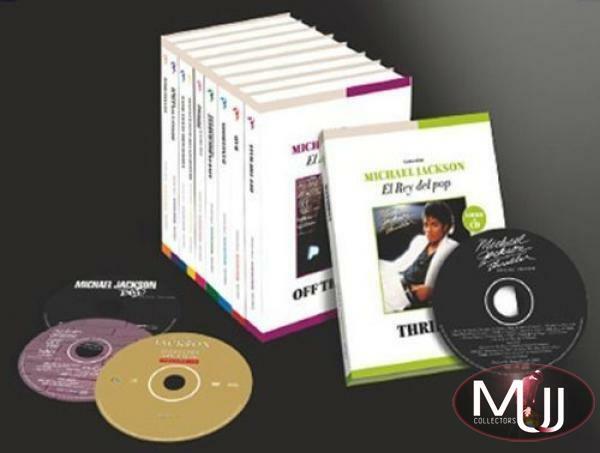 The thirteen CDs (which were sold individually) are (in order): 'The Jacksons' , 'Goin' Places' , 'Destiny' , ‘Triumph' , 'Jacksons Live' , 'Victory' , '2300 Jackson Street', 'Off The Wall', 'Thriller' , 'BAD' , 'Dangerous' , 'HIStory' and 'Invincible'. The complete set of these CDs is worth around $450. Michael Jackson The King Of Pop *Sorrisi & Canzoni* Limited Edition CD/DVD Box Set (Italy) This 2010 official release from Sony Music Entertainment Italy and “Tv Sorrisi & Canzoni” magazine includes seven CDs, three DVDs, and two booklets. The first release of “Off The Wall” (issued in April, 2010), included a box set (shown left) which could contain the entire series (which was completed by September, 2010). 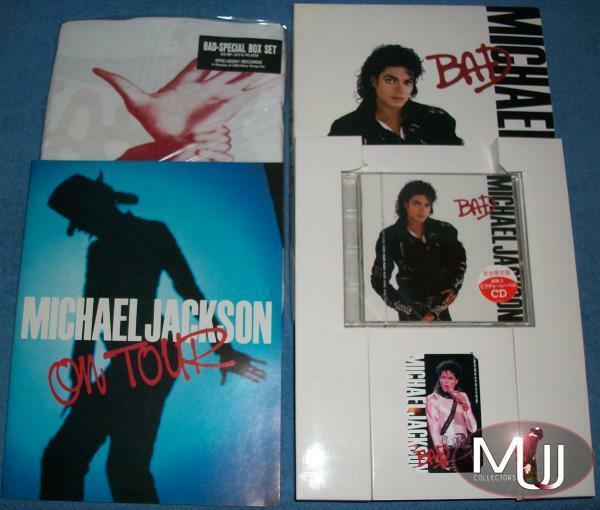 The complete set included: Off The Wall, Thriller, BAD, Dangerous, Blood On The Dance Floor, HIStory Past Present and Future Vol.1, Invincible CDs and the HIStory Video Greatest Hits 1, HIStory On Film Vol. 2, and Live In Bucharest Dangerous Tour on DVD. The complete set of seven CDs and three DVDs is worth around $400. 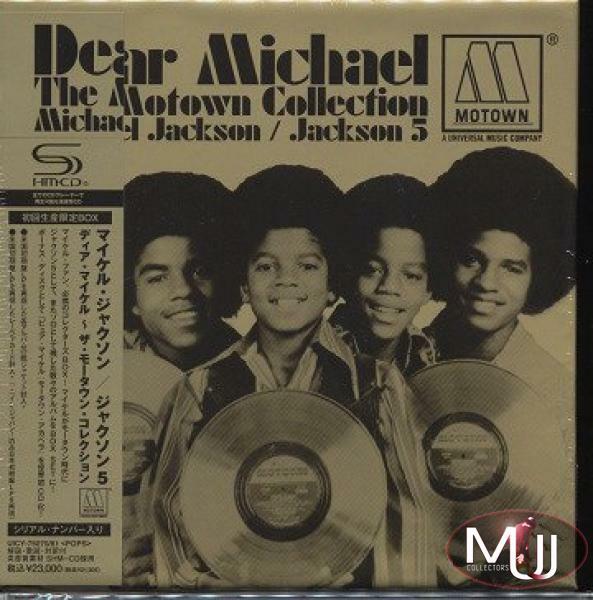 Dear Michael *The Motown Collection* Limited Edition Mini LP [SHM-CD] Box Set (Japan) This limited edition Japanese “Mini LP” box set from Universal Music/Motown (#UICY-75070) was released on June 8th, 2011 and includes 12 CDs with 237 tracks, including the complete collection of Jackson Five and Michael Jackson Motown albums (including “Boogie”), and several rare and previously unreleased tracks. In excellent condition this box set is worth $350. 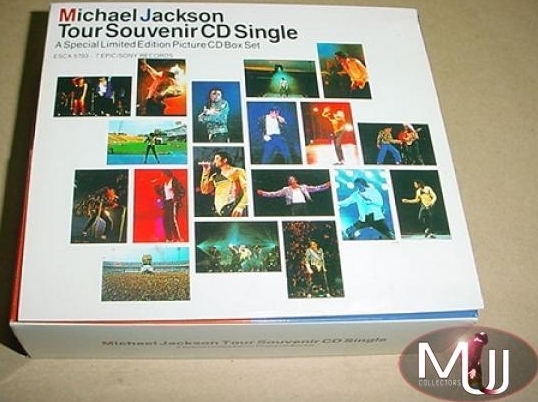 Michael Jackson Dangerous Tour Souvenir 5 Picture CD Single Box Set (Korea) This rare Korean five picture CD box set was issued in conjunction with the Dangerous Tour. 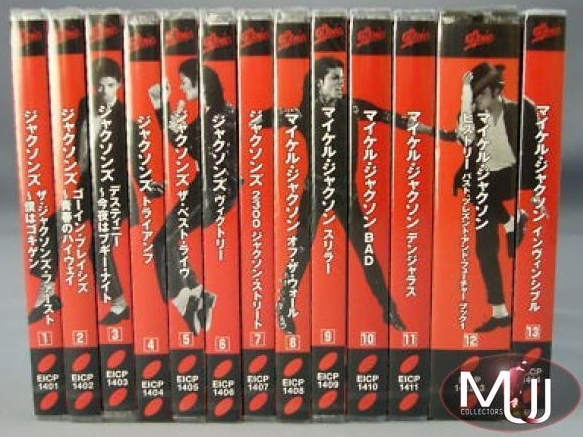 It includes picture CD singles for each of Michael’s solo albums: Off The Wall, Thriller, BAD, and Dangerous, plus a fifth disc that includes “Come Together.” A similar set was also issued in Japan, (worth about $160) and in the UK (a 4 CD set, worth about $110) each with different covers and slightly different contents. The Korean box set (which features a cover with several different pictures from the Dangerous Tour) is worth about $300 in excellent condition. 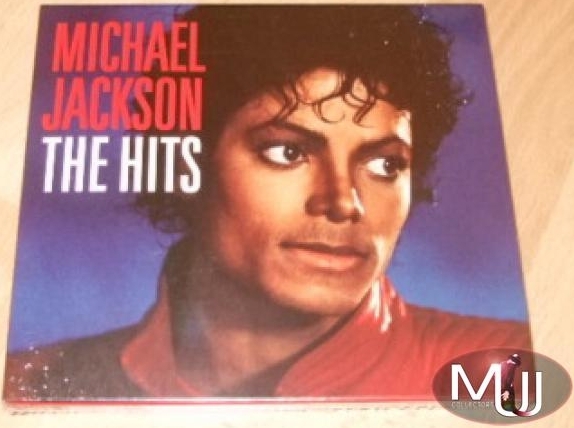 Michael Jackson “The Hits” Limited Edition Commercial 2CD Album Box Set (UK) This UK 2CD set called “The Hits” (#5099752 042227) was released in 2009 to coincide with promotion for the “This Is It” concerts, but was withdrawn by Sony UK a short time after Michael’s passing, making it a very rare find. Apparently it was only sold for one or two days by HMV. It contains the same 38 tracks available on earlier and future reissues of “The Essential”, but with a full color “Thriller video” slip cover (whereas The Essential had a tinted sleeve). There also exists a slight variation with a darker blue cover. The CD set in excellent condition is worth about $250. 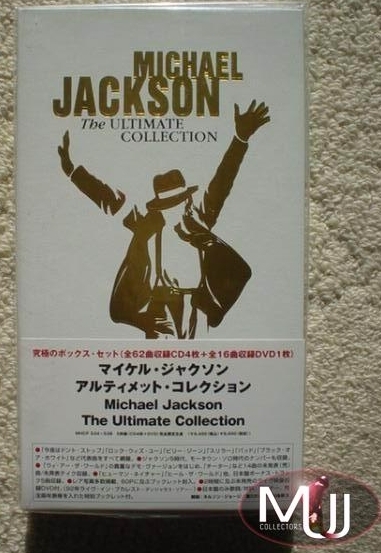 Michael Jackson “The Ultimate Collection” (4CD + 1DVD) Deluxe Box Set (Japan) This rare Japanese version of the 2004 deluxe box set (#MHCP 534~538) was released a month following the USA and UK releases of The Ultimate Collection (on 12/15/04) and includes five bonus tracks not available on any other release. The set includes 62 tracks in all (on 4 CDs) plus a Region 2 NTSC DVD including the live concert from Bucharest on the '92 Dangerous Tour, and a 64-page booklet. The bonus tracks are Blame It On The Boogie, Human Nature, Another Part Of Me, Heal The World, and One More Chance. Also exclusive to this release is a Japanese/English lyric book and a stickered wrap-around obi strip. This box set in excellent condition is worth $200. Michael Jackson *Definitive Collection* 3 CD Commercial Album Box Set #2 (India) This exclusive 2006 3CD Indian release called the “Definitive Collection” includes 41 tracks from the remastered expanded “Special Editions” of Thriller (CD 1, #504422-2), BAD (CD2, #504423-2) and the normal 14 track remaster of Dangerous (CD3, #504422-4). A more common “yellow cover” version was also released separately. This CD box set in excellent condition is valued at $200. Michael Jackson Limited Edition 10CD/DVD Box Set (Peru) This 2011 Peruvian Limited Edition set includes ten separate releases, seven CDs and three DVDs, issued by Sony Music together with 'El Comercio' Magazine. It includes Thriller (CD), Off The Wall (CD), BAD (CD), Dangerous (CD), Live In Bucharest (DVD), HIStory (CD), Blood On The Dance Floor (CD), Video Greatest Hits (DVD), HIStory on Film Volume II (2 DVD set), and Invincible (CD Audio). Each of the sets comes with its own booklet, in Spanish language. This box set in excellent condition is valued at $200. Visit our site for a complete list of Michael Jackson Box Sets, and our Compact Disc Showcase for complete listings of all Michael Jackson CDs. Also be sure to see our article on the Rarest Michael Jackson Promotional CDs and our extensive articles on the Rarest Michael Jackson Records: Rarest Michael Jackson Albums, Rarest 7" Singles, and Rarest 12" Singles!